Dr. Chynn was the best decision I’ve ever made! 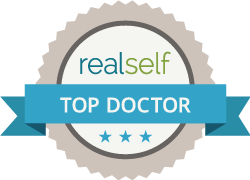 Home » » Dr. Chynn was the best decision I’ve ever made! Dr. Chynn was the best decision I’ve ever made. I went to almost every LASIK center in NYC, but none of them could treat me vision because I had both a high prescription AND thin cornea, so they all said it would be unsafe to get LASIK. One day, a coworker who also had an extreme Rx (-15.00, which was significantly worse than my -10.00) said he got his eyes fixed with LASEK by Dr. Chynn. I googled his office and noted his very high ratings. In addition, he graduated from Dartmouth, Columbia, Harvard, Emory, and NYU (I graduated from “just” NYU myself), and had performed over 20,000 procedures, both LASIK and PRK and LASEK. Dr. Chynn also has the RECORD OF TREATING THE WORLD’S HIGHEST RX OF -24.00 which was important to me, as I was in that “extreme” category myself. I was really excited because I started to think nobody would treat me. So went on to a Free Consultation. I learned that unlike the old LASIK where they cut the cornea, where one can potentially get hit in the eye and it can come off, this is impossible because LASEK is 100% NON-INVASIVE. They remove just the skin of the eye called the epithelium to laser your eyes. NO CUTTING THE CORNEA, NO FLAP. This is why Park Avenue LASEK can safely treat much higher Rxs than is possible with LASIK, because by skipping the flap-cutting step they have much more cornea to work with. The rest is history. Now I am seeing better I was seeing in my ugly glasses and expensive ($500/pair) custom contacts, or a perfect 20/20 (before I only saw 20/25)–all thanks to Dr. Chynn!! It was the best decision I’ve ever made. Plus they only charged me $1/day more than what I was spending on glasses/contacts/solutions. Dr. Chynn is available by text 24/7, so whenever I had a question, he was always there, even on weekends/evenings. He is the only laser vision correction surgeon in NYC that allows this, which was important to me, as I was pretty scared, given my extreme Rx. Bottom line: if you were told by some eye doctor that you can’t have LASIK, that may be true–but it also means you should go to Dr. Chynn for a free consultation to see if LASEK might be the answer for you–as it was for me!